Registration to attend the upcoming General Meeting January, 24th. 6:30-8:00pm at 9109 NE Cascades Parkway, Portland, Oregon 97220 is now open. Please let Antonia know if you wish to attend. You may bring a guest but please provide security details before submitting their name as a guest (Full Legal Name/Date of Birth/Driver's License Number/State it is Issued). Last day to register for this meeting will be Friday, January 18, 2019. We are very fortunate to have Dr. Katrina Hedberg and Dwight Holton, CEO of Lines for Life, who both come with a wealth of knowledge and expertise on the subject. The Opioid Epidemic is an FBI initiative that we have been pushing educational materials on such to schools and businesses alike. 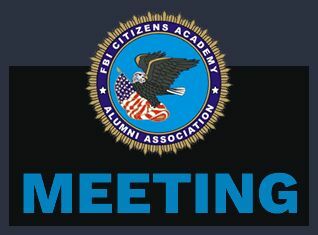 At this meeting we will hand out the FBI's Chasing the Dragon DVD's which provides real stories of folks who have fallen subject to the epidemic. Their stories are extreme yet compelling. Dr. Hedberg received her undergraduate degree from Yale University, and medical degree from Oregon Health Sciences University. She completed her residency training at Emory University and the Centers for Disease Control and Prevention. Dr. Hedberg earned her master's degree in public health from the University of Washington, and is board certified in public health and preventive medicine. She is an Affiliate Professor in the OHSU-PSU School of Public Health. Dr. Hedberg has been with the Oregon Health Authority for the past 25 years, and has worked in a variety of public health programs, including infectious disease prevention, injury epidemiology, chronic disease prevention, and health statistics. Her recent focus areas include addressing Oregon's opioid overdose epidemic, and evaluating the public health impact of retail marijuana sales. Dr. Hedberg is a native Oregonian, and enjoys spending her spare time hiking and skiing in Oregon's great outdoors. Dwight Holton is the Chief Executive Officer of Lines for Life, a suicide and substance abuse prevention nonprofit that promotes healthy communities through prevention, advocacy and public policy. Dwight served as U.S. Attorney for Oregon in 2010-2011. Dwight chairs the Oregon Coalition for Responsible Use of Meds (OrCRM), a task force to reduce prescription opioid abuse, misuse and overdoses. As U.S. Attorney, Dwight convened the first statewide Prescription Drug Abuse Summit in the nation bringing together leaders to shed light on the epidemic of Rx abuse and build solutions. He later worked with U.S. Attorneys around the nation to convene their own Rx summits. In 2011, Oregon Health Sciences University honored Dwight for his work on Rx abuse. At Lines for Life, Mr. Holton is leading expanded work in prevention of suicide and substance abuse, Dwight lives in Portland with his wife, Mary Ellen Glynn, and their children.